Comment: 12x12 outside exterior concrete patio with non-slip surface. Comment: Residential home driveway is cracked. Comment: I would like to get an estimate for installing a Paver floor in a screened porch. Aztec Masonry of Wilmington, Inc.
Hampstead Concrete Contractors are rated 4.79 out of 5 based on 232 reviews of 13 pros. 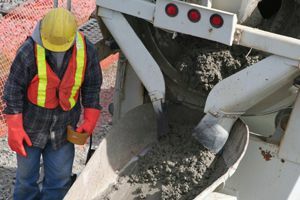 Not Looking for Concrete Contractors in Hampstead, NC?